Fly above the Ancient City of Hierapolis, the Salt Lake Acıgöl,or the Nomad Village. 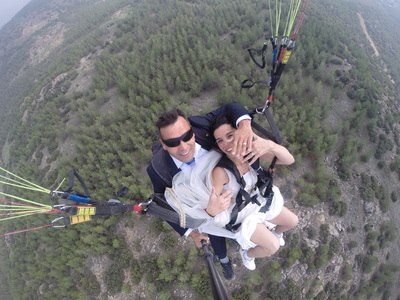 We offer you a tandem paragliding experience of a lifetime, for many people a dream come true. 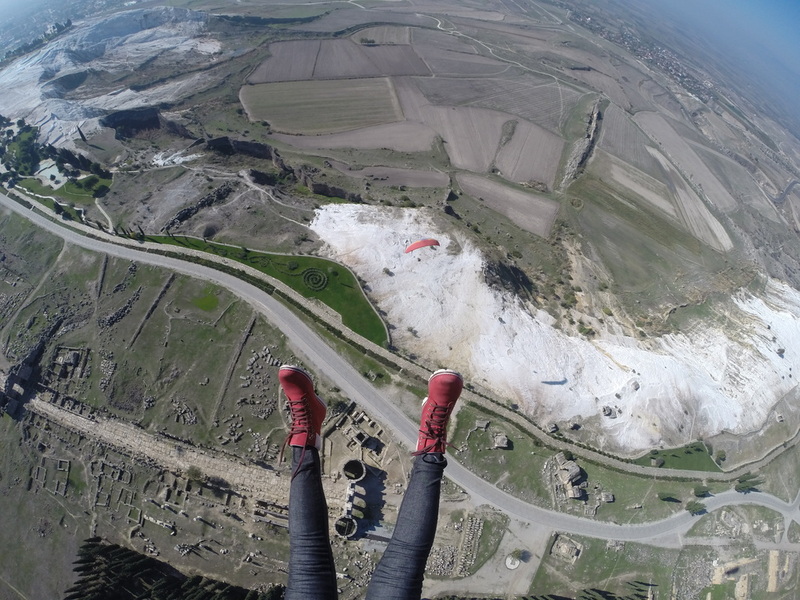 Picture yourself while flying over eıther of our locatıons : such as Pamukkale feelıng the adrenaline rush and enjoying the magnificent view. The flight ranges between 10 minutes - 30 minutes depending on wind conditions. The flights start from 8.00 am till 18.00 pm. 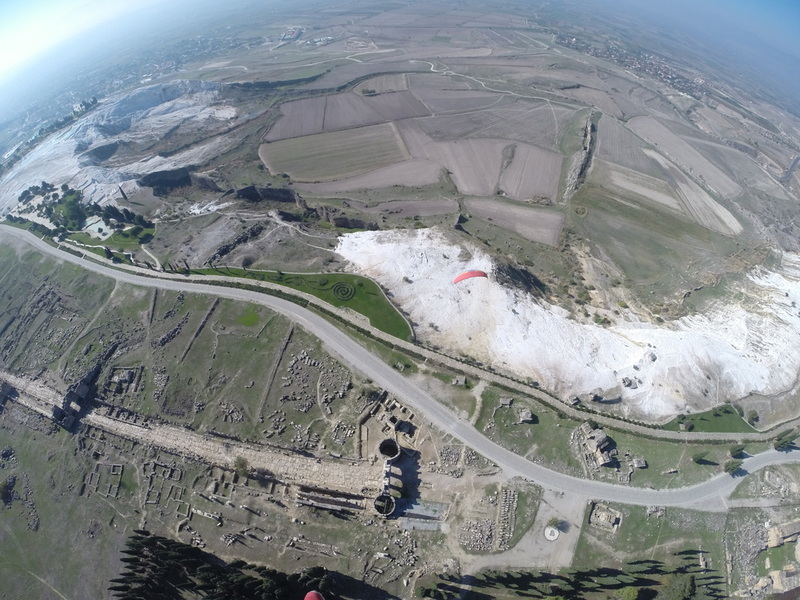 Denizli Pamukkale region's mild climate and favorable all year round with the surface forms of training allows you to paragliding. 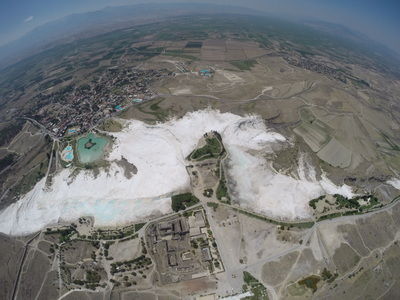 providing world-wide prominence of Denizli, Pamukkale many cotton-like whiteness of the mountain, like a rainbow of colorful travertenlerdir part. Bolu Abant region about 240 km from Istanbul, 3 hours away by car. The Abant lake is surrounded by forest type is a round green, winter, frozen lakes and snow-covered nature attract great attention. 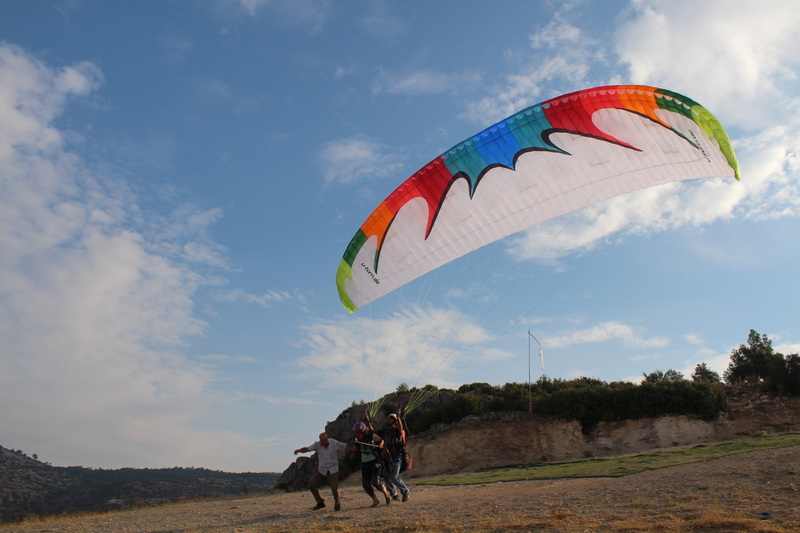 experienced paragliding pilots attended flight training and tours of the surrounding hills are Örencik Plateau, near to Abant Lake. 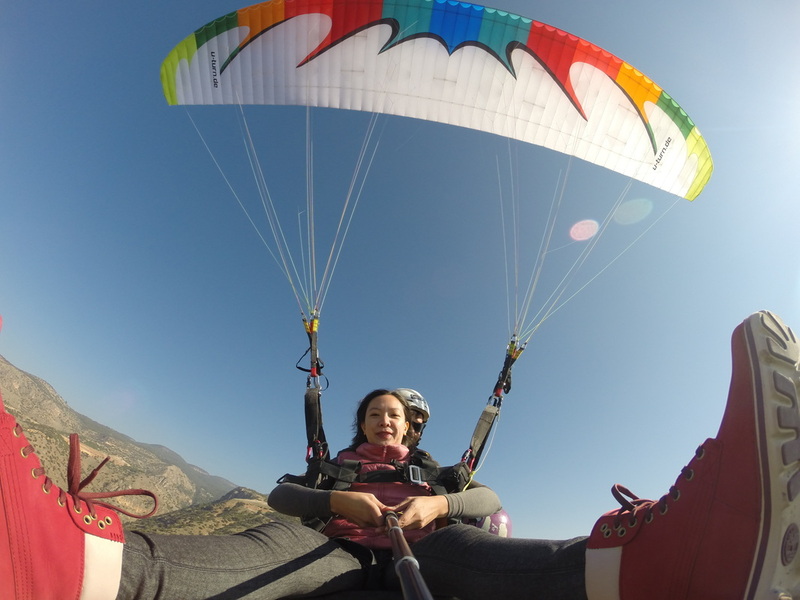 This plateau is a large, flat and entirely covered with grass.